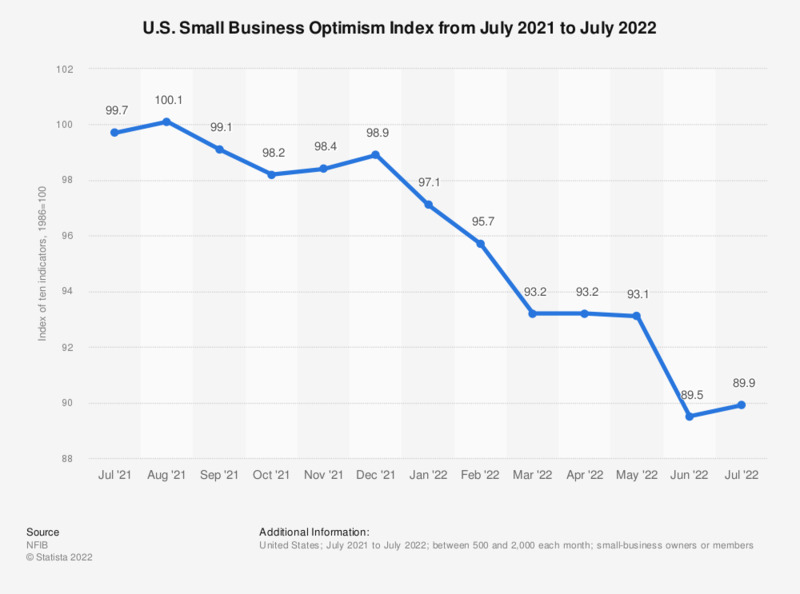 This survey shows the U.S. Small Business Optimism Index from March 2018 to March 2019. In March 2019, the Index amounted to 101.8. The index consists of 10 indicators derived from questions addressing small business owners: Plans to create employment; plans to make capital outlays; plans to increase inventories; expect economy to improve; expect real sales higher; current inventory; current job openings; expected credit conditions; now a good time to expand; earnings trends.